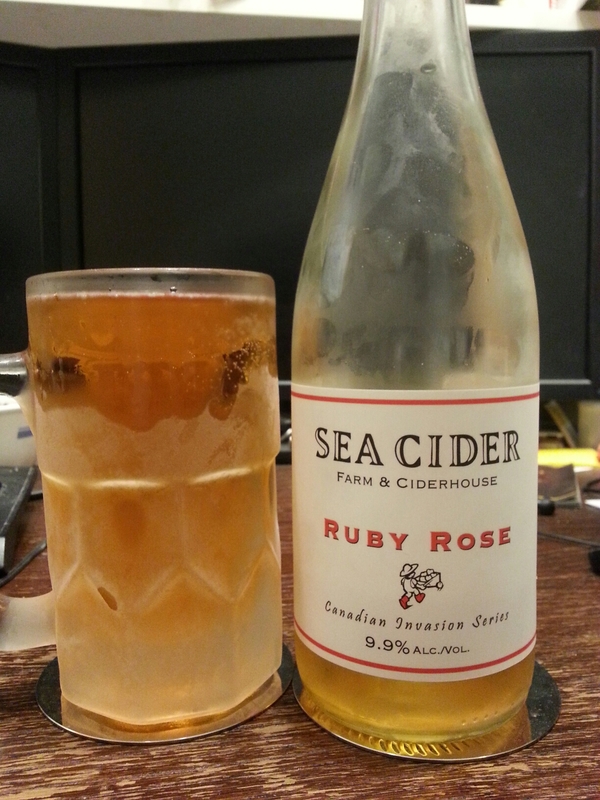 Ruby Rose – Sea Cider Farm & Ciderhouse (Saanichton, BC, Canada) | Justintoxicated. Visual: Pours pale pinkish-orange with virtually no head, barely any activity, a few bubbles on the surface. Not much visual appeal. Mid-palate: cloying sugars -> (lvl-7)-sweetness, mild alcohol bitterness, medium tangy-sour, (MAIN) apple wine, dense apple sugars, strawberry & nondescript fieldberry. Finish: apple peel/rhubarb exhale, sugary flat mouthfeel finish. Summary: Okay flavour but nothing punchy or memorable; That coupled with the lack of textural mouthfeel makes this one just average. It’s okay with a meal. Didn’t know anyone made rhubarb flavored cider! 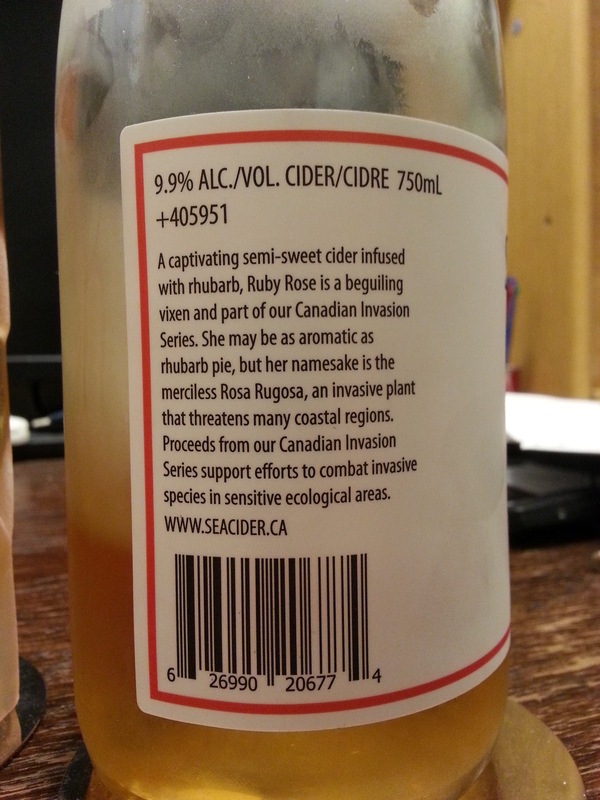 Also surprised that Sea Cider has a sweet variety, as everything I’ve tried from them was on the dry cider. Too bad you didn’t care for it. Thanks for sharing!